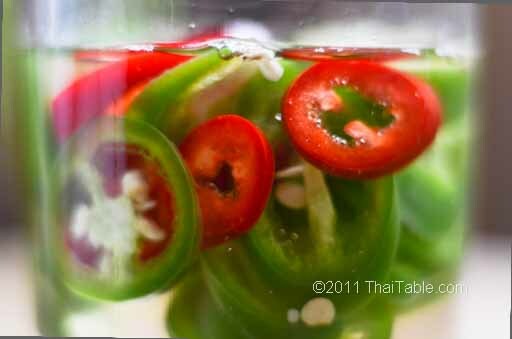 Pickled peppers in vinegar are a great condiment for noodles and many other Thai dishes. It's one of the 4-5 condiments that you'll see on all the tables at any Thai noodle shop. Even if you start with very hot peppers, after a few hours the pickled peppers turn sour and not super hot, while the vinegar has the hot pepper aroma. Pickled peppers in vinegar is easy to make and store. 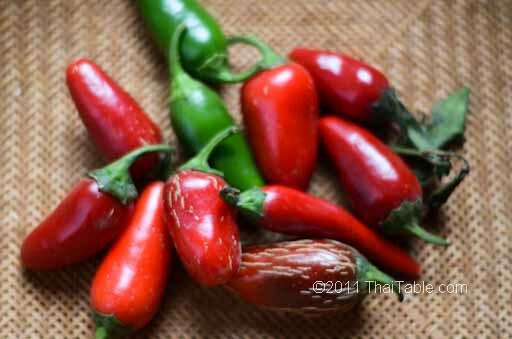 You can keep the pickled peppers in a glass jar at room temperature for several months. Slice the peppers 1/8 of an inch. 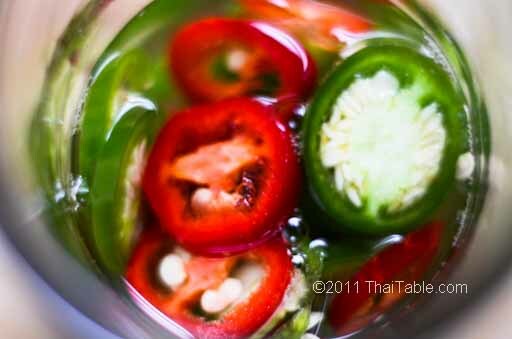 Place the sliced peppers in a glass container and pour vinegar to cover all the peppers. Keep the lid on tight. You can store the pickled peppers for months. Enjoy pickled peppers with egg noodles with barbeque pork, curried noodles, pad see ew and rad nah.